The G16 is an easy camera to underestimate, on the face of it, it doesn't seem like it has a lot to offer one year on from its predecessor and at first glance you'd probably guess that existing G15 owners would hold off for whatever the G17 might have to offer. But I think G15 owners will see it differently, and that means anyone else looking for an advanced compact as a DSLR understudy should probably think likewise and give the G16 some serious consideration. The Canon PowerShot G16 is the latest in a long line of chunky compacts aimed at the demands of enthusiasts. Announced in August 2013 it’s the replacement for the PowerShot G15. The G series has earned a reputation as a serious compact with image quality, performance and handling that won’t disappoint those who’d probably rather be using a DSLR were it not for the bulk. But where earlier models were in many ways an obvious choice, lately the landscape has become more complex with a wealth of large sensor compacts, not to mention entry level system cameras to choose from. So the G16 will have to fight hard for a place in the camera bags and pockets of photo enthusiasts. Externally, there’s not a lot to differentiate the G16 from its predecessor, it sports the same 5x 28-140mm equivalent f1.8-2.8 lens and the design and control layout are very similar. On the inside it has the same 12.1 Megapixel back-illuminated CMOS sensor, now paired with Canon’s latest Digic 6 processor. In addition to faster autofocus and shorter shutter lag, this provides new video modes, including 1080p60 and faster continuous shooting at speeds up to 12.2fps. There’s now focus peaking, a new Background defocus Creative effect and Star scene mode, the latter providing two stills modes – Star nightscape and Star trails, as well as a Star time-lapse movie mode that provides an easy introduction to the world of astro photography. As before, the G16 includes Intelligent IS stabilisation, now including what Canon calls Five-axis enhanced Dynamic IS mode for movie shooting. Finally, fulfilling an expectation many held for the earlier G15, the new model includes built-in Wifi, allowing you to wirelessly transfer photos and video to your PC and, more importantly, to upload to social networking and photo sharing sites. In my review I’ve tested the the PowerShot G16 alongside the Sony RX100 II. With a slightly larger, higher resolution 20.2 Megapixel 1 inch sensor, a 3.6x zoom with an equivalent range of 28-100mm and a maximum aperture of f1.8-4.9, and built-in Wifi with NFC for easy setup, the RX100 II will be a very strong competitor for the G16, despite being a little more expensive. I’ve also drawn comparisons with another hot competitor for the G16, Fujifilm’s Retro fixed lens X20. 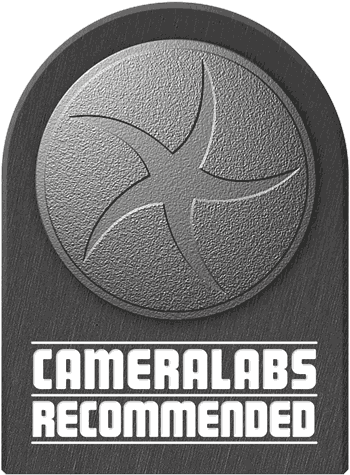 Read my full review to find out which of these makes the best pocketable compact for enthusiast photographers. Externally, the PowerShot G16 looks almost identical to the G15 it replaces. There have been some minor modifications to the design and some of the controls have been repositioned, but the changes are minor cosmetic ones. From the front, with the exception of the removable Wifi sticker (not shown in the product shot above) they are identical, though the G16’s grip is a little wider and less angular. The dimensions are 108.8 x 75.9 x 40.3mm and it weighs 356 grams with the battery and a card fitted. That’s a couple of millimetres narrower and 4g heavier than the G15, little enough to make no real difference in your hand or pocket. Talking of which you might just squeeze the G16 into a jacket pocket, but it wouldn’t do much for the shape (of your jacket) and would be uncomfortably clunky. It’ll comfortably fit a coat pocket though, as will the lighter, more compact Sony Cyber-shot RX100 II. At 101.6 x 58.1 x 38.3 and weighing 281g it’s generally a more pocketable proposition and you probably could get away with stashing it in a jacket pocket. To be fair, the G16 has an optical viewfinder and more physical controls than the RX100 II, though the latter has a fold-out screen, so it’s not all about sacrificing features for compactness. The Fujifilm X20 sits about mid-way between the two, still a more pocketable proposition than the G16. The other thing worth mentioning is that some people, particularly those used to handling a DSLR, prefer the size and heft of a bigger camera and the PowerShot G16, it seems to me, strikes a nice balance between handling and portability. One other thing to note is that the G16 is robustly constructed with an aluminium body shell and, while it’s not splash or dust-proof it will stand up to rough treatment better than many plastic-bodied competitors. The same could of course be said of the Aluminium body of the RX100 II and the Magnesium alloy body of the Fujifilm X20. On the top panel, the layout is unchanged with the pop-up flash and the sliding switch to activate it on the left of the hot shoe. On the right are the offset dual tiered control dials with the exposure compensation dial at the bottom extending to the rear and the mode dial on top flush with the front panel. The on/off switch is a little further to the right, flush with the top panel and with a green power LED at its centre. Then to the front of the panel is the black plastic shutter release button with its matt zoom collar surround. On the rear panel things once again have a very familiar look to them. The most obvious difference is the relocation of the Shortcut button from the left side of the viewfinder to below the movie record button to the right of the thumb rest. In its place is a fashionably subdued (or to put it another way, barely visible) Wi-Fi label; it’s certainly less flashy than the silver stick-on label on the front. As before, the optical viewfinder has a dioptre correction wheel to its left and what look like optical sensors to the right which are in fact LED AF indicators. The main controls are situated to the right of the fixed 3 inch LCD screen. There’s a change here that goes beyond the cosmetic, the focus area selector button has been moved from above the control wheel to below it and in its place is a dedicated button for selecting the ISO. The metering mode selector button that used to sit where the focus area selector now lives is dropped. Personally, I think an ISO button is far more useful than one to switch metering modes and my guess is that most people won’t often need to switch from the default Evaluative metering mode. If that’s not the case it’s still a relatively quick process via the func menu. The other two buttons are unchanged – AF/AE lock and Menu respectively above and below the control wheel on the right. On the control wheel itself, the top position previously allocated to ISO is now given over to Manual focus, followed by flash, display overlays and macro in a clockwise direction. As before you can rotate the wheel to change settings as well as pressing the cardinal points for menu navigation. The only control I haven’t mentioned up to now is the Front dial, located just below the shutter release and easily operated with your right forefinger. Switch the G16 to Manual and the finger dial controls the shutter, while the rear wheel adjusts the aperture. It’s all very intuitive, although anyone wanting to shift the Program combination with a simple spin of the wheel will need to remember to press the AE Lock button first. On the right side of the G16’s body behind a large plastic flap are Mini USB and Mini HDMI ports along with a connector for the optional RS-60E3 cabled remote. Once again there’s no microphone input, a missed opportunity which could have given it an edge over some CSCs. While the Sony RX100 II also lacks a mic input, you can attach one via its multi-interface hot shoe and the Fujifilm X20 can be fitted with an external mic via its USB port. The PowerShot G16’s NB-10L battery, the same as in its predecessor as well as the G1 X, is located in the handgrip section of the body. The joint battery and card compartment is accessed by a door in the base. A fully charged battery provides enough power for 360 shots – 10 more than before though this will obviously diminish with use of the Wifi. Conversely, if you turn off the LCD screen and just use the optical viewfinder you can extend the battery life significantly. The G16 also features the power-saving eco mode recently introduced on PowerShot A-series compacts, which dims the screen after a couple of seconds inaction, then turns it off ten seconds later, and after a further three minutes turns the camera off altogether. With Eco mode activated you can still use the screen and extend the battery life to a more useable 480 shots. The G16 compares pretty favourable on battery life with the RX100 II’s 350 shots, with the Fujifilm X20 coming in last with a rather meagre 270 shots. You can extend the X20’s battery life by sticking exclusively to the screen or viewfinder, but not to the same extent as on the G16. The G16 has a a pop-up flash unit which is manually activated by sliding a small switch on the top panel just behind it. The pop-up unit was introduced on the G15, on earlier models the flash was built in to the front panel in the top left corner. The extra height above the lens should help reduce the chances of red-eye and lens shadow when shooting close subjects. The flash has a quoted range of 7 metres at the wide angle lens setting and has On, Off, Auto and Slow Synchro modes. Flash exposure compensation of up to plus or minus two stops can be set and the power can be adjusted manually to one of three levels. There’s also the option of 1st or 2nd curtain sync. The G16 retains its standard hotshoe, which can be used to mount an external Speedlite flash. With the 220EX, 270EX, 430EX II or 580EX II mounted, the flash control menu switches to external control, offering similar options to Canon’s DSLRs. These allow you to again adjust flash compensation (with a broader +/-3EV range), set rear curtain and slow sync options along with red-eye correction and wireless control. The built-in flash doesn’t have any wireless control, though, so you’ll need to employ an optional transmitter if you want to trigger any flashes off-camera. Both the Sony RX100 II and Fujifilm X20 also sport built-in flashes, with ranges of 15 metres and 7 metres respectively with the ISO set to Auto. And while all three models have a hot shoe, its worth noting that the RX100 II is the only model of the three that lacks a viewfinder, so if you add the optional EVF, the hotshoe is then unusable for an external flash. In its favour, the RX100 II ‘Multi interface’ hot shoe can also accommodate other accessories like an external microphone . The PowerShot G16 is fitted with the same fixed PureColor II G 3 inch LCD TFT screen with a 922k dots as its predecessor. Over the course of the last few years, much to the chagrin of G-series fans, Canon has swung back and forth with articulated screens. Early G series PowerShots all had flip out screens, but Canon reverted to fixed screens from the G7 onwards, only to go back to them for the G11 and G12. Whether you’re a fan of the flip out screen or not, there’s no arguing with the fact that by fitting a fixed screen Canon has been able to make the G15 and G16 much smaller and more portable than earlier models. It looks like Canon has settled on the fixed format, for now at least. If an articulated screen is a non-negotiable feature, the Sony RX100 II manages to squeeze a tilting one in to its tiny frame or if you’re too much of a G series loyalist to look elsewhere there is of course the more expensive, as well as bigger and heavier G1 X. On the upside though, the G16’s panel provides a detailed, warm, bright and contrasty image with a good wide viewing angle. You can control the brightness from the menu, but that won’t help in bright sunshine where, like most screens the G16’s struggles, but at least you’ve got the optical viewfinder to fall back on in such situations. An optical viewfinder has been a feature of G Series PowerShots since the introduction of the G1 in September 2000. It’s useful as an alternative means of composition, but with no proximity detectors, you need to manually switch off the screen to prevent it from distracting you during composition. The G16’s optical viewfinder is very small and is prone to all the usual problems associated with non-through-the-lens viewing systems. There can be parallax errors, you can see the lens in the corner of the viewfinder at wide angle settings, there are no superimposed guides and the coverage is less than 100 percent. Added to which you can’t tell where the camera has focussed (though the audible beep and green light tell you that it has) or see exposure or other information. On the plus side, the optical viewfinder can be corrected for spectacle wearers, it’s more visible than the screen in bright conditions, it’s possible to hold the camera more stably when it’s held to your eye, and as an optical viewfinder, it’ll greatly extend the battery life. Another benefit is it doesn’t black out while shooting, which means you can more easily follow action with the viewfinder. That said, there’ll be those who’ll wish Canon fitted the G16 with an electronic viewfinder, or something more akin to the Advanced optical viewfinder in the Fujifilm X20, which overlays exposure information on the optical glass. Others might prefer there was none at all for an ultimately smaller and lighter body; in Canon’s world, the latter will be steered towards the simultaneously announced PowerShot S120. For those less loyal to the brand, the Sony RX100 II is the obvious alternative. The PowerShot G16 has the same 5x optical zoom lens as its predecessor. With a range of 6.1 to 30.5mm, 28mm to 140mm in 35mm equivalent terms, that’s the same range as the earlier G12, but the f1.8 – 2.8 lens is more than a stop brighter across the entire zoom range. Early G series PowerShots were renowned for their bright lenses and this return to the old form wasn’t a matter of choice for Canon in a market where big sensors and bright lenses have become almost commonplace. As well as the RX100 II with its f1.8-4.9 lens, the G15 is competing with the Fujifilm X20 (f2-2.8), Lumix LX7 (f1.4-2.3), the Olympus XZ-2 (f1.8-2.5) as well as Canon’s own S120 (f2-5.9) and G1 X (f2.8-5.8). For the sake of completeness I should also mention here that the Nikon Coolpix P7700 is equipped with a 28-200mm equivalent f2-4 zoom. The advantage of this bright aperture is twofold. Obviously it makes the G16 a much more capable low light performer. The other advantage of a wide maximum aperture combined with a larger sensor than a typical point-and-shoot camera is that it unlocks the potential for shots with a shallow depth of field. The G16’s 1/1.7in sensor may be only a little larger than the typical 1/2.3in compact sensor size, but that doesn’t mean you can’t produce shallow depth of field. Depth of field reduces at longer focal lengths and the closer you get to the subject – at it’s maximum 140mm equivalent focal length the G16 still maintains a bright f2.8 aperture. Although it has a larger 1 inch sensor, the Sony RX100 II’s f1.8-4.9 lens stops down a lot more as you zoom in, reducing it’s effectiveness in low light as well as it’s ability to throw backgrounds out of focus. To compare the depth of field performance of the PowerShot G16 and the Sony Cyber-shot RX100 II I set them both to their widest focal lengths of 28mm, and got as close to the subject in the images below, as possible while still being able to focus. In its macro mode, the G16 can focus as close as 1cm which in practice means you can almost touch the subject with the lens. At such close distances it’s possible to get very shallow depth of field effects and in the example below, taken in Aperture priority at f1.8, the depth of field extends no more than a millimetre or two in front of and behind the front of the flower. By comparison, the Sony RX100 II can’t get nearly as close so not only is the subject much smaller in the frame, the background blurring isn’t anything like as shallow, despite the same f1.8 aperture. So how about portraits taken from a typical distance? With a larger sensor and the same f1.8 maximum aperture you’d expect the Sony RX100 II to be able to produce shallower depth of field than the G16, but when you zoom the RX100 II in its lens stops right down to f4.9 at the maximum 100mm telephoto and this is where you’ll get the best portrait perspective. Not only can the G16 zoom in a little more, further decreasing the depth of field, but it has a brighter maximum aperture of f2.8. Below you can see how this works out in practice. With a hedge around three to four metres behind the subject, neither model does a great job of blurring it, though I think the G16 at a wider f2.8 aperture does marginally better. Another option on the G16 is to use the new Background defocus Creative effect which shoots two images and combines them to produce a shallow depth of field effect with background more heavily blurred than would be possible in a single shot at the camera’s maximum aperture. There’s three different strength settings and here’s how they look compared to a normal shot at the maximum aperture. A quick glance at the images below, showing the complete frame, illustrates how the Defocus effect is indeed blurring the background a little more, while also neatly recognising the foreground subject and keeping it sharp – apart from the strongest level that is, where almost everything is now soft apart from a single flower. However anyone hoping for more significant blurring will remain disappointed – if you want to really obliterate the background, you’ll need a bigger sensor coupled with a longer and brighter lens. The PowerShot G16’s lens has optical image stabilisation that Canon claims allows hand held shots to be taken using shutter speeds three stops slower than would otherwise be possible. To test it I zoomed the G16 to its maximum telephoto focal length of 140mm equivalent and took a series of handheld shots in Shutter priority mode at progressively slower speeds. 100% crop, 6.1 – 30.5mm at 30.5mm, 80 ISO, 1/8th. 100% crop, 4.3 – 215mm at 215mm, 80 ISO, 1/8th. To test it I zoomed the G16 to its maximum telephoto focal length of 140mm equivalent and took a series of handheld shots in Shutter priority mode at progressively slower speeds. As you can see from the crops above, I just about managed to get a clean shot with no camera shake from the G16 at 1/8, which is around four stops slower than conventional wisdom says is advisable at this focal length. If you’ve read the specifictions, or my earlier G15 review, and are wondering why Canon is claiming only three stops of stabilisation for the G16 compared with four stops for the G15, the stabilisation hasn’t got worse, it’s simply that the G16 figure was arrived at using stricter CIPA standard testing procedures. Like its predecessor, the PowerShot G16 provides the traditional PASM modes along with Smart auto exposure and a wide range of feature modes. Set the G16 to Aperture Priority and you can choose from f1.8 to f8 (when fully zoomed-out). Set it to Shutter Priority and you can access speeds from 1/4000 to 250 seconds (increased from a 15 second maximum on the G15) with no restrictions and a maximum flash sync speed of 1/2000. Exposure compensation is available in a range of +/-3EV in 0.3EV steps using the upper dial, while three-frame exposure bracketing is offered in a range of +/2 EV, again adjustable in 0.3 EV increments. By default, the G16’s front finger dial is used to adjust the aperture and shutter speed in these respective modes. Switch the G16 to Manual and the finger dial controls the shutter, while the rear wheel adjusts the aperture. It’s all very intuitive, although anyone wanting to shift the Program combination with a simple spin of the wheel will need to remember to press the AE Lock button first. At the other end of the scale is the G16’s Smart Auto mode which employs scene detection in an attempt to identify what you’re pointing the camera at. The PowerShot G16 doesn’t just recognise people or close-up shots, but also the lighting conditions for each, differentiating between bright conditions, blue skies, spot-lit or night-time, and whether the subject is backlit or not; the G16 can also detect whether the person is in motion or has strong facial shadows. In each instance, the exposure and flash are adjusted accordingly, and the camera will even attempt to recognise a Sunset and boost the colours. Although all of this is handled by the new Digic 6 processor the scene detection modes and stabilisation options on the G16 appear to be exactly the same as on the G15 though. In Smart auto mode the G16 can also choose from six different stabilisation options: still, panning, macro, dynamic and power (when filming), or switched off when the camera detects it’s mounted on a tripod or somewhere steady. The actual conditions or subject recognised by the camera is indicated by an icon in the top left corner, which you’ll see adjust as you recompose. You’ll need to check the manual to confirm what each icon means though, for example those taken under normal, blue or dark skies feature grey, blue or dark blue icons respectively, while backlit situations have a Sun in the corner. Or rather than learning the icons and second-guessing the camera, you could simply relax and trust the G16 as, like other recent Canon compacts, it does a pretty good job of recognising the scene and choosing the best settings for it. In practice, the camera seamlessly switches between portrait mode with face detection when pointed at a person, or into macro mode when placed close to a subject. If you like the automatic life, but prefer a little extra control, turn the mode dial to SCN to access seven presets including Portrait, the Handheld Nightscene composite mode and Underwater (the G16 isn’t waterproof, you’ll need the WP-DC52 accessory case to use this mode). The panoramic-stitch assistance mode has been dropped, which is a good thing as it looked increasingly dated in a world where many low-cost point-and-shoot compacts offer impressive panoramic shooting modes as do both the Sony RX100 II and Fujifilm X20. That said, it’s not been replaced by a proper panorama mode, which remains a disappointment. The SCN mode is also where you’ll find the Smart Shutter options which trigger the shutter after detecting a new face, a smile or a wink and it’s also home to the new Star mode. This new mode is designed to get the best results when shooting the night sky with the camera mounted on a tripod. There are three modes which are selected by pressing the ISO button with the camera in the Star scene mode, then choosing form a menu. The first shoots a sequence of long exposures and combines them in a composite image with a higher level of detail and lower noise. Part of the processing enhances the visibility of stars and you can turn this off for a more natural result. Finally, Star time-lapse movie records a photo every minute and assembles them into a time-lapse movie which plays back at 15fps in 990x real time speed. There’s a limited amount of control over settings, you can set the overall duration, but not the interval or playback speed. The options are one hour, 90 minutes or two hours, which (at one frame captured every minute) produce movies of four, six and eight seconds respectively. Limited control exposure control is also possible via the exposure compensation dial, but you can’t set the exposure manually. Here’s an example of the hour-long capture creating a four second clip. New to the PowerShot G16 and S120 are three Star presets, one of which captures an image every minute for 60, 90 or 120 minutes, before assembling them into a timelapse movie. The camera will only encode at 15fps, so the resulting clips last four, six or eight seconds respectively. Though it will probably appeal only to a fairly small proportion of G16 owners, the Star scene mode is a great addition to the G16’s features and the kind of feature for which Canon gained a deserved reputation for innovation. Sadly we haven’t seen much of this kind of thing recently lower down the PowerShot range so it’s even more welcome on the G16. The Creative Filters Mode position on the dial offers HDR, Nostalgic, Fisheye, Miniature effect, Toy Camera effect, Soft Focus, Monochrome, Super Vivid, and Poster Effect. The Colour Accent and Colour Swap modes from the G15 are dropped and in their place is a new Background defocus effect which shoots two images and combines them to produce a shallow depth of field effect with background more heavily blurred than would be possible in a single shot at the camera’s maximum aperture. As before, the HDR mode automatically combines three exposures to extend the tonal range, there’s no control or even indication of the bracketing range or tone map technique, but Canon says the HDR effect has been improved and there’s now a choice of processing effects to choose from. Here’s some examples of the filters in action, with from left to right Nostalgia, Fish-eye effect and Toy camera effect; it’s possible to vary the strength of the fisheye distortion along with adding sepia or blue tints in the Black and white mode Just a quick note to say that if you’re wondering what happened to the G15’s Movie digest mode, as on other models, it’s been renamed Hybrid auto and given its own position on the mode dial. I’ll talk about that a bit more in the movie section below. Probably the most significant modification Canon has made to the G16’s movie modes is the introduction of a 1080p full HD mode at 60fps. There’s also a 1080p30 mode as well as 720p30 and VGA (640 x 480) also at 30 frames per second. No doubt there’ll be those who mourn the passing of the earlier model’s 1080p24 mode, with its film-like qualities, but probably more will welcome the higher frame rate which provides the option for good quality half speed slow motion recording when played back at 30fps, something that Canon has thus far avoided on its DSLR range, at least at 1080p. Super slow motion is retained as before with two recording speeds, 640 x 480 at 120fps and 320 x 240 at 240fps, providing playback speeds of 1/4 and 1/8 real time speed respectively, but the earlier model’s edit-friendly iFrame mode is abandoned. And, as before, you can use most of the Creative filters while shooting movies. You can record Miniature mode movies in 640×480 or 1280×720 resolution, although for the latter option to become available you’ll first need to set the still photo aspect ratio to 16:9 which is easy to forget. Indeed I did for the example below which as a consequence is presented at 640×480; I recorded for one minute at the 10x speed (there are also 5x and 20x options) resulting in a six second clip. You can zoom the G16’s lens while filming and the camera will also attempt to continuously autofocus while recording, but there’s no manual exposure control when filming, beyond exposure lock or compensation. You can also set the focus manually prior to recording using the new focus peaking feature to help get it spot on. Unfortunately you can’t manually focus during recording, though, which is a shame. Audio is recorded by built-in stereo microphones, but sadly there’s still no external microphone input, as on the G1 X, a missed opportunity as both are equipped with a standard hotshoe which would have been ideal for mounting external microphones. The maximum recording time is a second shy of half an hour or when the file reaches 4GB and Canon recommends using a Class 6 SD card or quicker. This clip, like the others below was shot using the G16’s 1080p60 mode. The 60fps video is very smooth, but bear in mind the files will be around 60 percent larger than for 1080p30. Aside from a little bit of wind noise (there is an electronic wind filter and it was on auto, so possibly it would have been worse without it), there’s little to find fault with here. The stabilisation does a good job, there’s no audible noise from the zoom motor and the AF is rock steady. 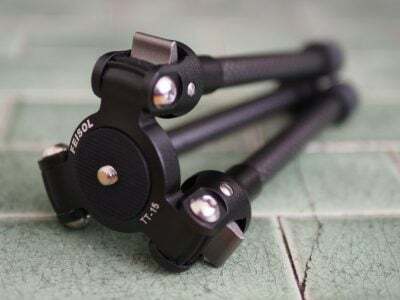 For this tripod mounted pan I’ve turned off the image stabilisation. Ordinarily, bright reflections on the water are the biggest challenge, but the misty conditions have created a different kind of problem for the G16 with the continuous AF becoming a bit lost with the low contrast scene mid pan. It quickly recovers though and is very steady from there on, even during the zoom. The G16 produces a good result in this low light interior with little evidence of noise. Once again the stabilisation does a good job and the continuous AF is accurate and steady. The auto exposure is also spot on and doesn’t over-compensate when passing the windows. My coffee cup example tests the G16’s continuous AF performance. With the lens zoomed in a little and panning from the cup to the more distant bookshelves the focus and exposure reacts swiftly and surely. On the way back to the cup it’s a little slow to respond, but does so confidently. Here’s a short clip showing the Miniature effect on a movie. 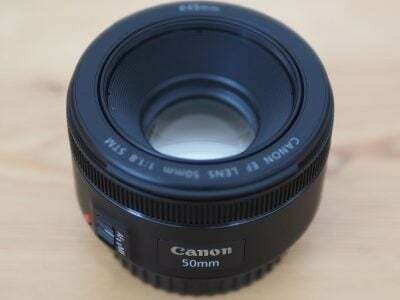 As with other Canon Compacts, you can record miniature mode movies in 640×480 or 1280×720 resolution, but for the latter you first need to remember to switch the still photo aspect ratio from 4:3 to 16:9. The example above was shot in 640×480 mode (yes, I forgot to switch the photo shape to 16:9), recording for one minute at the 10x speed (there are also 5x and 20x options) resulting in a six second clip. Press the power button and the G16 is ready to take a shot in a little over one and a half seconds which is about the same as its predecessor. With almost the exact same dimensions, weight and body styling and a barely changed control layout, it offers a similar handling experience to the G15, which is to say a good one that’s highly rated by enthusiasts as well as professionals. The arguments about articulated screens will never go away because there are pros and cons on both sides and everyone has their own preferences. The conventional way of balancing it out is that articulated viewfinders are nice to have, but there’s a price to pay not just in monetary terms, but size and weight. Doubtless the G16 is less expensive and smaller than it would be with a flip out screen, but then you look at the Sony RX100 II, which manages to accommodate a vertically-articulated screen in a body that’s significantly smaller than the G16 and you have to wonder. The PowerShot G16 is well equipped with physical controls, it’s one of the reasons its so well liked by those who’d ordinarily be carrying a DSLR around. For PASM operation the front and rear dial combination works well, and the movement of the ISO menu from the rear control dial to its own button is an improvement. The exposure compensation dial is a little too free and you need to keep a careful eye on it; several times I discovered I was shooting with compensation inadvertently applied having moved the dial while carrying the camera or taking it out of a bag. For a compact, the G16 is well catered for in terms of customisation. There are two custom positions on the mode dial and both the shortcut button and the movie record button just above it can be programmed to one of 20 functions including White balance, Drive mode, AF Frame, AF lock, metering, ND filter, Eco mode and Display off. The PowerShot G16 is the latest Canon compact to be equipped with built-in Wifi, which allows you to transfer photos to other devices, such as computers, smartphones, printers or other compatible cameras, or onto sharing services via the Internet. Unfortunately there’s no wireless remote control of the camera over Wifi though, which puts it behind models like Sony’s RX100 II. All wireless transfers from the camera are triggered during playback by pushing the AF area on the rear. This then presents a Wifi menu from which you can choose which device or service you’d like to connect to. When sending an image you can choose to resize to M2 (2 Megapixels and the default setting), S (VGA) or to keep them at the original size. If you’d like to wirelessly transfer images from the G16 to a computer you’ll first need to install the supplied Camera Window software. You’ll then need to select a wireless access point in range of both the computer and the camera. Next you select the access point from the camera, entering any security details if required, before then selecting the computer from a list. From that point, Camera Window works similarly to using a wired USB connection for transferring images. Or rather it should. I had limited success connecting the G16 to my BT HomeHub 3 wireless router, I managed to connect to the wireless network, but the G16 was unable to discover my MacBook Pro. Sadly there’s no peer-to-peer connection possible for a direct link between the camera and a computer with Wifi and I think unless Canon can implement a more reliable implementation most people will probably prefer the tried and trusted USB method. If you’d like to wireless transfer images from the G16 to a smartphone, you’ll need to first install the free CameraWindow app, available for iOS or Android devices via App Store or Play Store respectively. You can make wireless transfers to your phone with both devices connected to a wireless network, but the G16 had no more success discovering my iPhone 4S on my home wireless network than it did my MacBook Pro, so I opted instead for the peer-to-peer connection option. This involves setting the G16 up as a wireless access point and connecting to it with your phone. You can then either push images to the phone from the camera, or browse photos on the camera’s card via your phone, then select and download them. On my iPhone 4S I successfully transferred original JPEGs measuring around 5MB each in about four seconds; setting the smaller M2 or S sizes transferred the images in about a second. Though you can browse through the camera’s photos using your smartphone screen via the CameraWindow app, the thumbnails and previews displayed are low resolution square crops and you can’t pinch to zoom-in, though you can swipe between them. If you’d like a closer look you’ll need to choose the option to save them to your device or share them to one of you installed services. It’s also possible to send images direct from the camera to Facebook, Twitter, YouTube or to Canon’s own iMAGE GATEWAY, again via a nearby Wifi access point. Unfortunately though you can’t setup the process from the camera alone. Instead you’ll first need to register for iMAGE GATEWAY using your computer, then install the Camera Window program. Then once you’ve connected the camera to your computer and registered it with iMAGE GATEWAY you can configure access to the social networks. Images are uploaded to Facebook into a Canon folder from where you can share them. Images sent to Twitter are uploaded to the Canon portal, then a link to it is Tweeted. This is all a bit convoluted and the sooner Canon opts for a direct approach, like that used by the Sony RX100 II the better. I should note that like most cameras there’s no way to agree to any terms and conditions of a Wifi network which sadly rules out sending images via a public hotspot. The only cameras I know of with browsers which can agree to public hotspot terms, and indeed upload direct to social networks, are Sony’s Wifi-equipped NEX models. Ultimately the Wifi implementation on the G16 is basic but useful nonetheless. 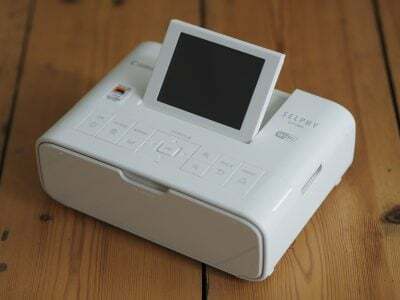 It’s nice to wirelessly copy images onto smartphones or computers, or send them to printers or onto selected social networks. But there are a number of limitations which can prove frustrating at times, such as the inability to connect to public hotspots, make a peer-to-peer network with laptops, or setup the social networking without going through the company’s own gateway on a computer. To be fair most of these also apply to pretty much every other Wifi-equipped camera. That said, the Sony RX100 II’s Wifi features offer a number of advantages over the G16 including NFC connection with a suitably equipped (i.e. not an iPhone) device, remote shooting, and direct upload to Twitter or Facebook. One advantage the PowerShot G16 enjoys over the RX100 II is it’s ability to use the GPS function of your phone to geotag images in the camera. The GPS function works very well once you taken the trouble to set it up and will, I expect be far more useful to users of an enthusiast model like the G16 than, for example the ELPH 300 / IXUS 255. In practice you just start the Location Logging option in the smartphone app, then later simply use the option to transfer the data when the camera is connected over Wifi – unlike Panasonic’s GPS-tagging implementation, the co-ordinates are also embedded during this process rather then being transferred to a temporary location before being applied in an additional step. All the same, while it’s good to have the option of a smartphone GPS connection, you can’t beat the convenience of built-in GPS. The Fujifilm X20 doesn’t have built-in wifi, so if you want to share images you’ll need the help of a computer and a USB cable. The PowerShot G16 offers a big improvement in AF performance over its predecessor, not that the G15 was particularly slow – I described it as ‘fairly responsive; locks-onto a subject in less than a second; not as snappy as the quickest CSCs like the Olympus PEN E-PL5.’ Although I didn’t have a G15 to test alongside the G16, I can tell you the AF is a lot faster than my description of the G15’s AF. Half press the shutter and the AF beep and green frame confirming AF lock follow almost immediately after. There’s a moment’s lag, but nothing you’d describe in terms of fractions of a second. It’s still not as fast the E-PL5, but it’s a lot quicker than before, Canon claims it’s 41 percent quicker than the G15 and I’ve got no reason to doubt that. In most situations it’s fractionally faster than the Sony RX100 II, but in good light with a high contrast subject this is unlikely to make much of a difference. But in certain situations, for example with the lens fully zoomed in and with a low contrast subject or in less than optimal lighting the Sony RX100 II can take it’s time to acquire focus and its in those situations that the PowerShot G16 wins out. It’s very consistent and there aren’t many situations where the AF doesn’t respond quickly and assuredly. The Fujifilm X20’s dual AF system allows it to focus very quickly. I didn’t test the X20 alongside the G16, but I’d be surprised if the G16 was as quick. That said, AF speed is one of the main areas of improvement provided by the new Digic 6 processor on the G16 and it’s no slouch. And if you’re thinking the phase detect AF will be an improvement on the G16’s contrast based system for continuous AF in movies, well, in my tests it didn’t work out that way, it turns out the X20’s Dual mode AF is really only an advantage for stills shooting. The G16 inherits the same three auto-focusing modes of the G15: FlexiZone, Face AiAF and Tracking AF. As before, FlexiZone focuses on a single area, the position of which can be adjusted to one of nearly 500 positions the screen; you can also choose from two different sizes for the AF area. The Face AiAF mode automatically employs face detection if a person is recognised in the frame, or switches to a traditional nine-area system in the absence of a suitable face. If you’d like to check the focus before taking the shot, the G15 offers AF-Point Zoom, which enlarges either the selected AF area or the primary face when you half-press the shutter. The Tracking AF option displays cross-hairs in the middle of the screen which should be placed over the subject you want to track. Then after pressing the AF area button, the camera will attempt to follow the desired subject. The G16 automatically enables Servo AF in Tracking AF mode, allowing it to continuously adjust the autofocus until the point of capture. In use this worked pretty well, managing to track a variety of non-human subjects and keeping them in focus, so long as they were within the focusing range of course. The G16 additionally offers Blink Detection, which as its name suggests, can spot when a subject has blinked at the moment the photo was captured. This works in practice, briefly displaying a blinking face icon in the corner of the screen as a warning immediately after taking the photo. It will, however, only work if the subject in question has already been acquired by the face detection system. Blink detection is also exploited in the Face Timer mode. For manual focus you can use the thumb wheel to adjust the focusing distance in many fine increments, indicated by an on-screen scale. On the earlier G15, the MF point zoom allowed you to magnify the central portion of the screen to get a better view, even so it was still quite difficult to determine if a subject was sharp. Canon has addressed this problem by introducing focus peaking. Previously the preserve of high-end compact system cameras, this is a very welcome addition to the G16’s repertoire. You can set peaking to one of three levels with the choice of red, yellow or blue highlights. It’s a big help and makes manual focus much easier on the G16. Further manual focus assistance is available in the form of the Safety MF option which lets you get the focusing close by hand, then finishes it off automatically at a half-press of the shutter release. Alternatively you can opt for the focus bracketing mode which takes three shots: one at the manually focused distance, and the others a little closer and further. The nearer and further increments can be set to small, medium and large. Continuous shooting speeds on the PowerShot G16 have gained a massive boost, courtesy of the new Digic 6 processor the G16 now offers a top speed of of 12.2fps, albeit for a limited burst of 5 frames. But where many compacts would then stop, or slow to an unusable speed, the G16 keeps going at a still respectable 9.3fps for another 522 frames. At these speeds the focus and exposure are locked on the first frame, with continuous AF the fastest speed is 5.7fps. To test the PowerShot G16’s continuous shooting performance I fitted it with a freshly formatted 8GB SanDisk Extreme Pro UHS-1 card. I set the image quality to Large Superfine JPEG, set the shutter speed to 1/500 and fired a burst of images in the fastest 12.2fps mode. The PowerShot G15 shot the first five frames of the burst at 12.1fps and I timed a further 30 frames at 9.37fps, so continuous shooting performance is almost exactly as specified. This is a huge improvement on the earlier G15’s continuous shooting performance which, in line with most previous Canon compacts, was so poor – 2.1 fps with a 10fps 1 second burst – as to be hardly worth bothering with. It’s also superior to the Sony RX100 II which can maintain 10fps for a burst of 13 frames, then drops to a 2.5fps crawl. Likewise the Fujifilm X20’s fastest full resolution burst mode manages only 9 shots at 9fps before its buffer fills. So well done Canon for sorting this out on both the G16 and S120. The PowerShot G16 has the same 1/1.7in 12.1 Megapixel back-illuminated CMOS sensor as its predecessor, but a new Digic 6 processor which provides faster operation and some new shooting modes. The ISO range remains the same from 80 – 12800 ISO. The shutter speed range is extended at the longer end, though, with a range of 250s to 1/4000. Images are recorded as JPEG files at one of two compression settings and the G16 can also shoot RAW. Typical Large Superfine JPEG files range from 3 to 7MB in size with RAW files typically around 16MB. To see how the quality of the PowerShot G16 measures-up in practice, take a look at my Canon G16 quality and Canon G16 noise results pages, browse my Canon G16 sample images, or skip to the chase and head straight for my verdict.